IZONE actively looks to develop new ideas to bring to its products. The dual density heat sink embodies this thinking. 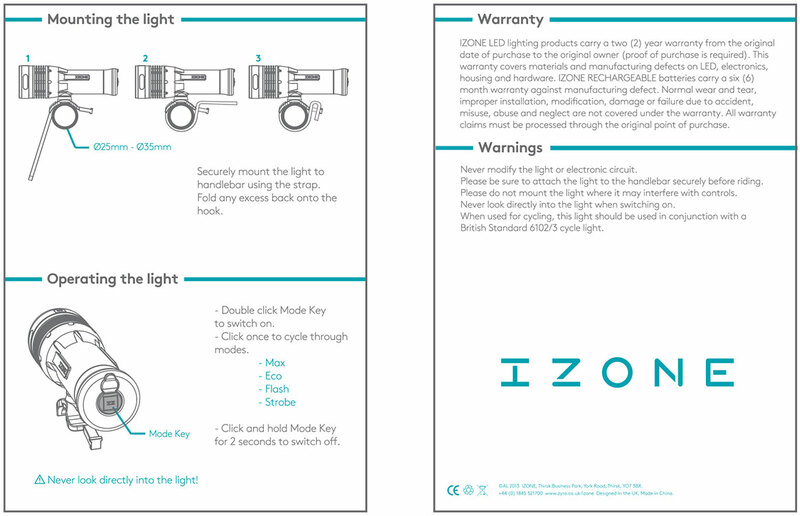 By incorporating this clever heat management system, IZONE can run high output lights in a lightweight plastic body. This not only gives the light a weight advantage, it also allows for a very competitive unit price, giving exceptional value for the user. IZONE’s design innovation builds a competitive edge into its products. IZONE is a technology based brand. LEDs, batteries and circuitry are all carefully selected and custom tuned for performance and reliability. 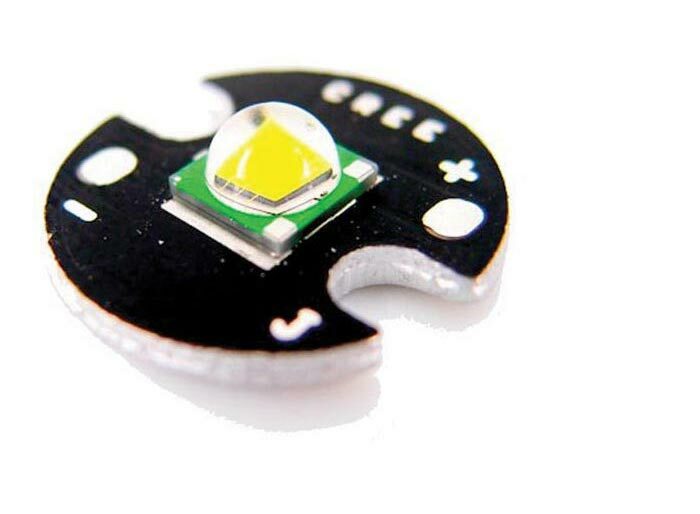 LEDs are adjusted to maximize light output and battery runtime. Circuitry is designed to both control and protect the light. 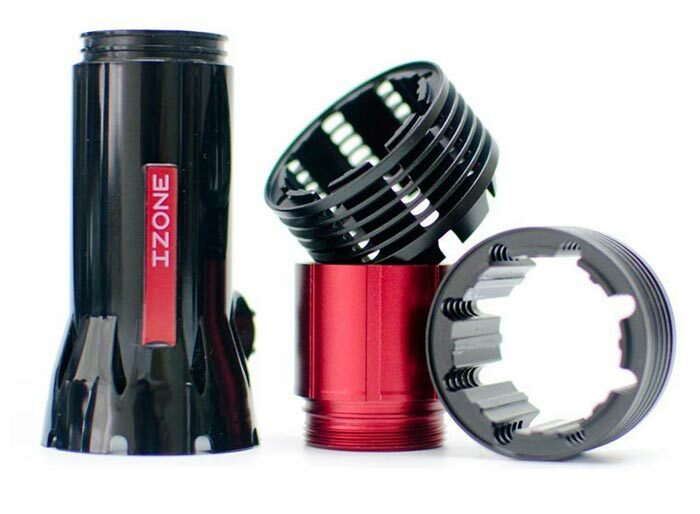 This fine tuning of components is what sets Izone lights apart. Izone isn’t just about the electronics. Optics are just as important. Reflectors or Collimators are used depending on the design brief. 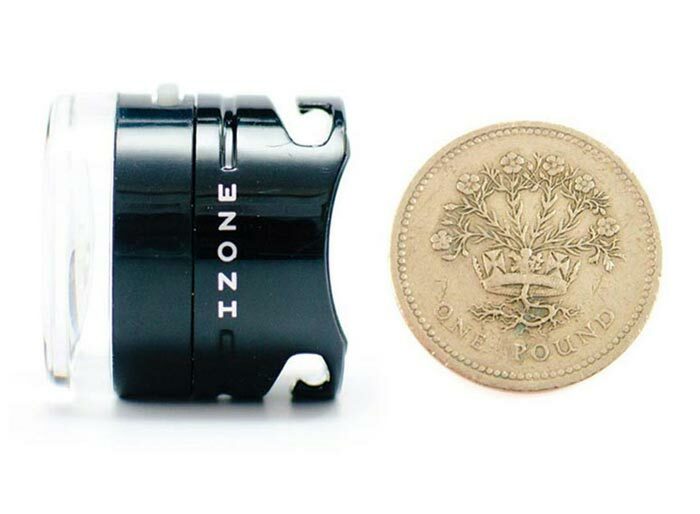 Collimators are specified where a primary requirement is to see what is in front, whilst reflectors have been used when ‘to be seen’ is the objective. IZONE products are designed to give the user an exceptional tool, both functionally and aesthetically. 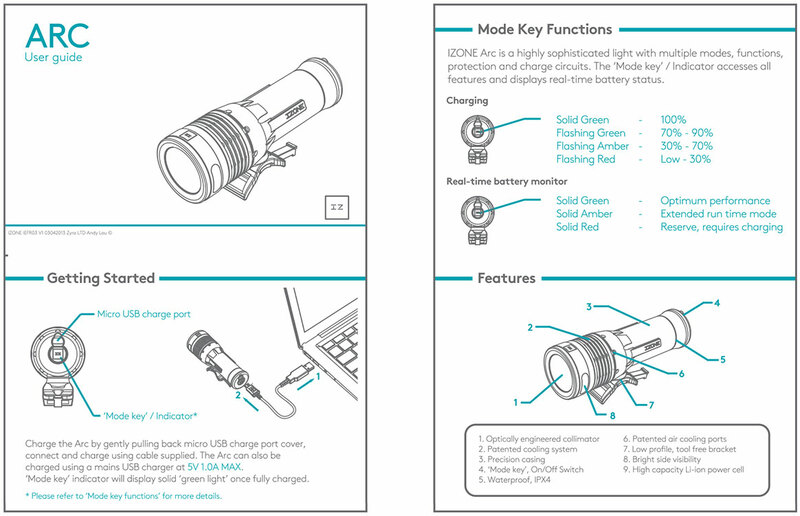 The look and feel of Izone products is important. The switches, brackets and even battery carriers all bring a touch of class to the range. At Izone we want you to like the products and be pleased you own them!